As a boy in England, I had a friend who lived across the road from me on East Drive, St. Mary Cray, Kent, now part of the London Borough of Bromley. His name was Peter Scott. 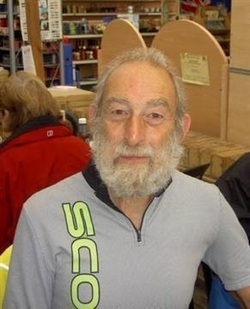 He was a keen cyclist, and it was largely through his example that I toured much of England by bike, staying at youth hostels in various parts of the country. We lost touch with each other decades ago, but I believe that I may have rediscovered him through a websearch which led to a Peter Scott in the Meridian C.C.. I should be grateful for your kind assistance in my effort to contact my old friend. Could you, please, forward this message to your club member Peter Scott, in case it is the person I think it is. He may be interested to hear from me after all these years. I certainly would like to hear from him. What a very pleasant surprise! I remember Brian Hudson very well; he lived across the road from me. His first long ride was from Orpington to Stonehenge with me on my father's heavy tandem, (which I still have), and we camped in a old friend's garden at Wilton near Salisbury. I was about 18 at the time. I will certainly make contact, especially as we shall be visiting Brisbane in April! Hope to see you on 23rd or at the WK's Barn Dance on the 18th. I sent an e-mail to Brian, with a "brief" resume of my life over the past 60 years, since we last met. He responded, attaching an extract from his book about the war years in Orpington. His precise recollection of trips to the air-raid shelter and running around bomb craters, (like a "Wall of Death"), were exactly as I remember, even to the last V2 rocket to land in England, fell on a house in Court Road. Pauline and I are planning to go out to Australia in April following the birth of our daughter's second child, so will be making arrangements to meet up with Brian. 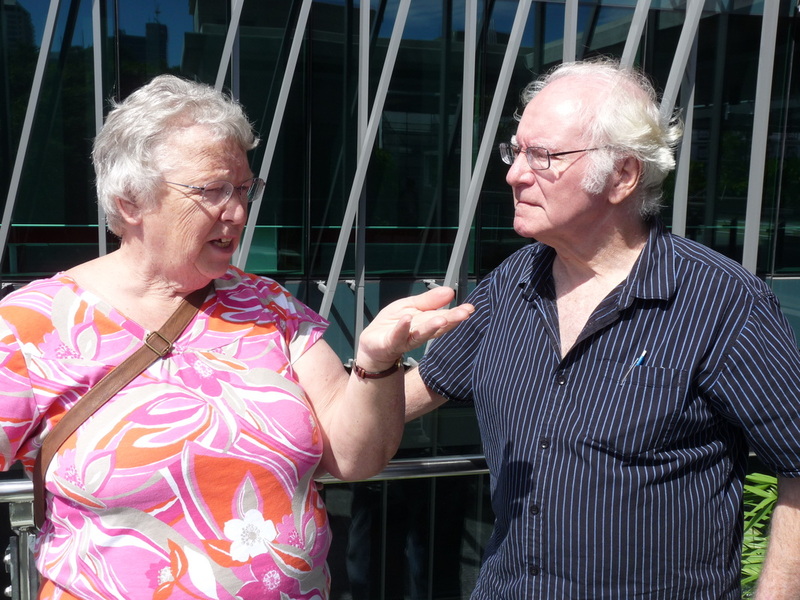 Watch this space as we hope to find out what happened when they meet again after 50 years in Brisbane! Some of you may remember that earlier in the year, thanks to the “Rogues Gallery” on the Club’s website and the kindness of Ray Ransom, I received an e-mail from somebody who lived across the road from me when we were young. He was two years younger than me, and with other kids in the street we would play in each others houses, and when we were a bit older we would play cricket in the road, pushing the stumps into the pitch between the concrete slabs and having to “Draw Stumps” when the occasional car came along. During the war, (Second World War, that is! ), being in St Mary Cray and on the flight path to London, it was an exciting time for youngsters. Hearing the air raid sirens, our mothers would push us down into the outdoor Anderson shelter, until the “All Clear” sounded. My early cycling days began in a sidecar attached to my father’s 1933 Buckley tandem, (which I still have), later transferring to a cushion on the rear carrier of said machine. I couldn’t wait to ride my own bike and soon learnt, with my father, to explore the local country lanes. On leaving school, I joined the CTC and YHA, riding with West Kent DA and visiting faraway places. Apparently I was so enthusiastic about my newborn lifestyle that my childhood mate, Brian Hudson was inspired to follow a similar path. I was unaware of this at the time, but he has recently been conducting a web search resulting in the e-mail which Ray forwarded in the hope that I was the right guy and say how much he had enjoyed travelling all over the British Isles by bike. Not having seen each other since our teens, you can imagine how delighted I was. Even more surprising, having lived and worked in various parts of the world since his graduation, he now lives in Brisbane, Australia. Since that first contact we have communicated by e-mail and I was able to tell of our planned visit “Down under” to meet our new grand-daughter, who with her parents and 2-year old sister, live about 60 miles north of the city. So it was then that on the 19th April, Pauline and I caught the train and met up with Brian. Surprisingly, we both recognised each other immediately. We had a most enjoyable day in true Aussie sunshine, visiting first, the University of Queensland, where Brian has his office, and later, a 1 ½ hour trip on the Brisbane River, learning a lot about the city, before returning to his apartment, meeting his wife, and have a good drink before catching the train back. They say that nostalgia isn’t what it used to be, but we certainly had some good tales to swap. We reminded each other of a weekend trip to Stonehenge on the aforementioned tandem with camping kit and Brian suffering from “bonk” all the way home,(not to mention saddle soreness!). Meeting up after all these years, (nearly 60), was wonderful and all because of our love of cycling, (plus a little bit of electronic wizardry! ).